iPhone 5 pre-order stocks have sold out in record time. Despite the announcement during last week’s Apple Keynote that the company was prepared for its ‘fastest roll-out ever’, the iPhone 5 sold out in just one hour with shipping dates blowing out from September 21 to 2-3 weeks. Overwhelming demand from customers eager to pre-order the new iPhone 5 effectively crashed Apple’s pre-order system, with similar problems being encountered on the websites of Verizon and AT&T. While iPhone 5 pre-orders officially opened at 12:01am PST, Verizon was down until 1:30am and AT&T wasn’t back up and running until almost 2:00am. The iPhone 4S pre-order stock sold out in some 22 hours – but this year the iPhone 5 was also rolled out to 9 launch countries simultaneously, up from 7 last year. 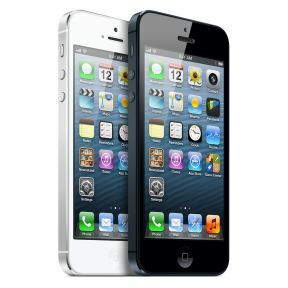 It’s unclear how much iPhone 5 pre-order inventory Apple has, and reports thus far have indicated that Apple weren’t expecting such huge demand. The much-hyped 4-inch iPhone 5 display may both be the cause of the sales rush and supply constraints, with the special “in-cell” technology used in the new display limiting production volumes. Reactions to the iPhone 5 have been largely mixed, and the large order volumes we’re seeing may be more a reflection of the iPhone 5 being the first major upgrade in two years, rather than a must-have device in its own right. Did you pre-order an iPhone 5? How was your experience? Let us know in the comments.